That said, this is a really good cake. Like seriously. Tasty. And moist!!! Ohhhh you're gonna love this. 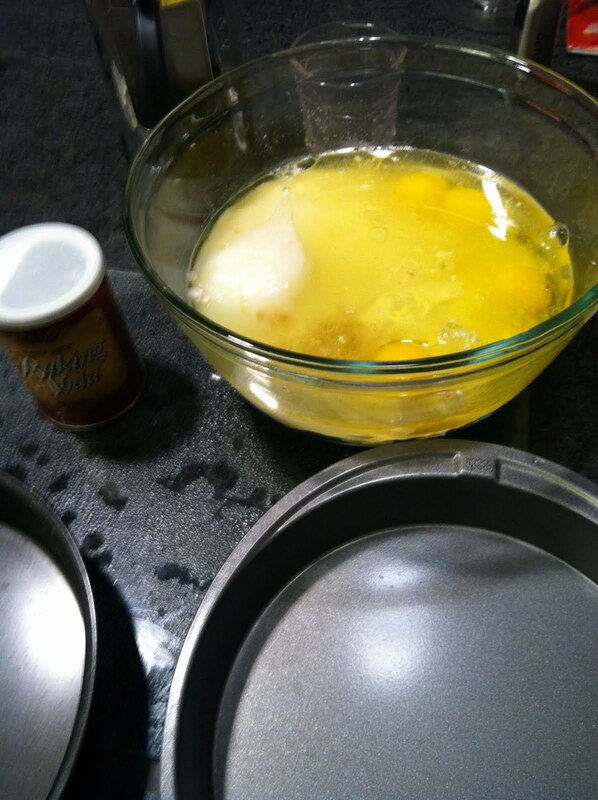 Take two cake pans, spray with some no-stick spray, and mix all the ingredients together. It's gonna take maybe 2.5 minutes. Use a whisk. Go old school. Enjoy the rustic-hippieness of it all. Preheat oven to 350 degrees F and bake for 30 minutes. Set aside to cool. Blend. When the two cakes have cooled, put a layer of frosting on one and put the other on top. Cover with frosting all around. 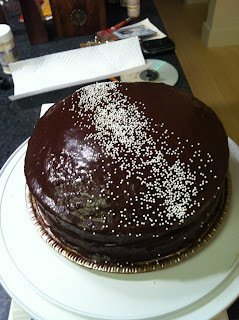 I garnished with some cute white sprinkles but this cake really is amazing - all on it's own. Perfect in every way. Can I use this recipe for a kiddy birthday party?